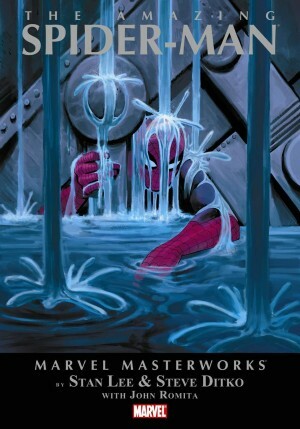 The departure of Steve Ditko from Spider-Man signaled a change as great as when Jack Kirby departed the Fantastic Four. 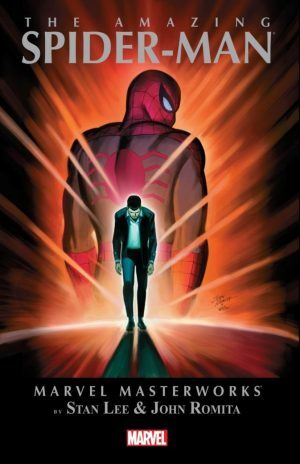 Whereas, Kirby’s departure was devastating for the First Family, Peter Parker’s fortunes took a definite turn for the better with the arrival of one Jazzy John Romita. 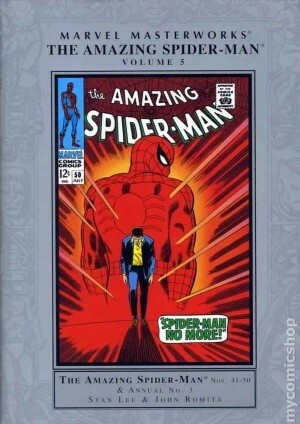 Romita’s first two issues (included in volume 4), closed the door on the Ditko era by putting the Green Goblin on mothballs. 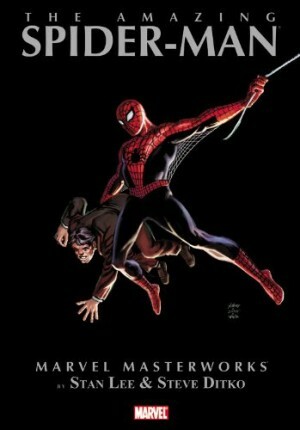 That allowed Stan Lee and Romita free license to take young Peter Parker in a fresh direction. Overnight, Midtown’s only professional wallflower went from “dud” to “dreamboat”, commanding the attention of both gorgeous Gwen Stacy and Mary Jane Watson (“I never thought a tiger who wore his hair so short could be so dreamy!”). Pete was even cool enough for his own set of wheels. 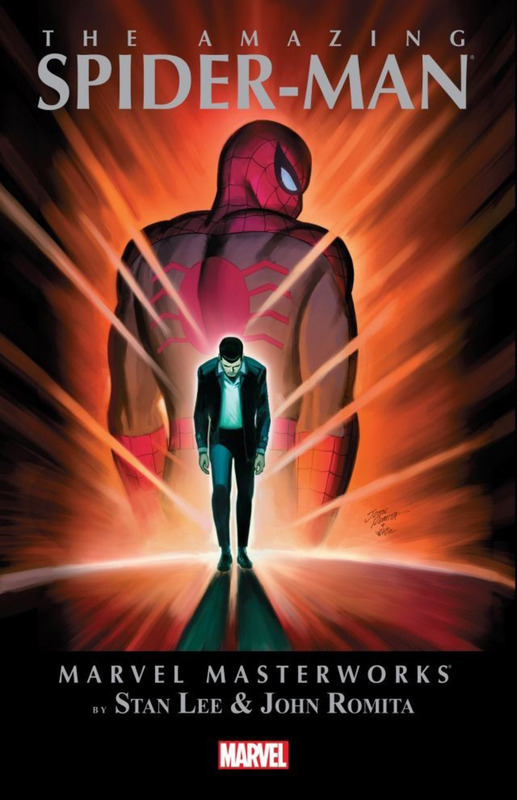 Not all of fandom was hip to the Lee/Romita trip, but for others, Romita’s pencils catapulted Spidey to the forefront of the superhero genre. 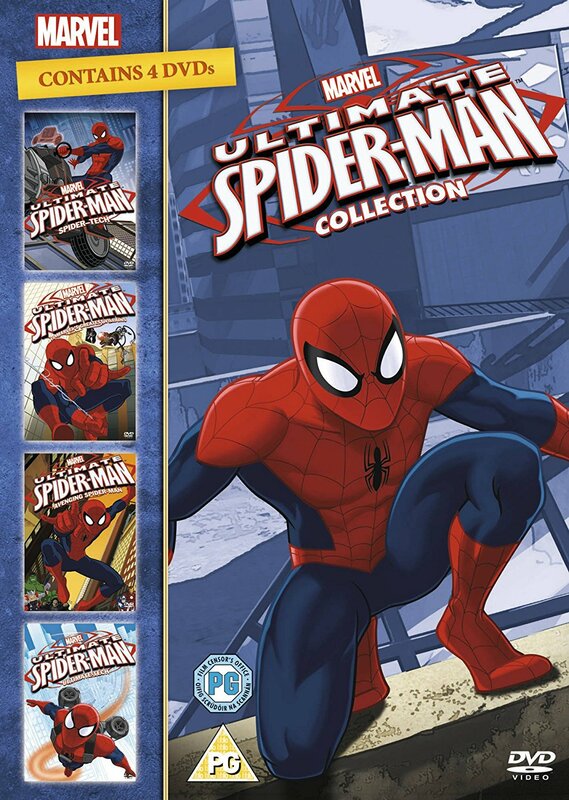 Not only are the majority of issues in this volume strong, they feature, arguably, the best art of Romita’s tenure with the character, adding new life and actual gaiety to Peter, Flash, Harry, Gwen, and new kid on the block, Mary Jane Watson. Fresh wind blows throughout as Lee’s dialogue jumps off the page, especially after MJ makes the scene (“Face it, tiger, you just hit the jackpot!”). She wastes no time becoming both instigator and agitator for some wickedly catty repartee between her and Gwen, Gwen and Flash, Flash and Peter, with poor ol’ Harry, as always, caught in the middle. All this adds sparkle to more lackluster villains like John Jameson, the Shocker, and the Rhino. How can you not love the Rhino after Mary Jane quips, “Those crazy threads break me up!”? The jewel of these early issues is Gwen Stacy. It’s easy to forget Gwen was once a ball of fire herself, who gave as good as she got from her red-headed rival. Gwen dancing MJ off the floor is a highlight (“I thought you were passing out the ‘burgers, Gwen?” “Don’t fret, pet! I saved a few for you!”). Reading these issues, it’s easy to see why the world fell in love with Gwen. Likewise, there are hints at the cold and destructive influence MJ would ultimately have on the group with its tragic conclusions presented Masterworks volume 13. 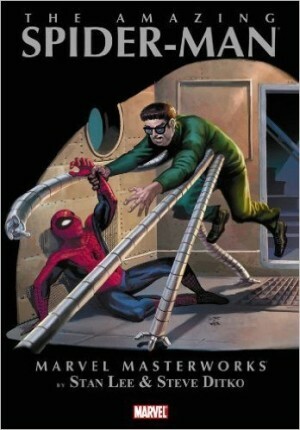 Lee and Romita had Spidey swinging to new heights with the introduction of the Kingpin and the new Vulture. There’s also the long awaited return of the Lizard in a sterling two-parter. 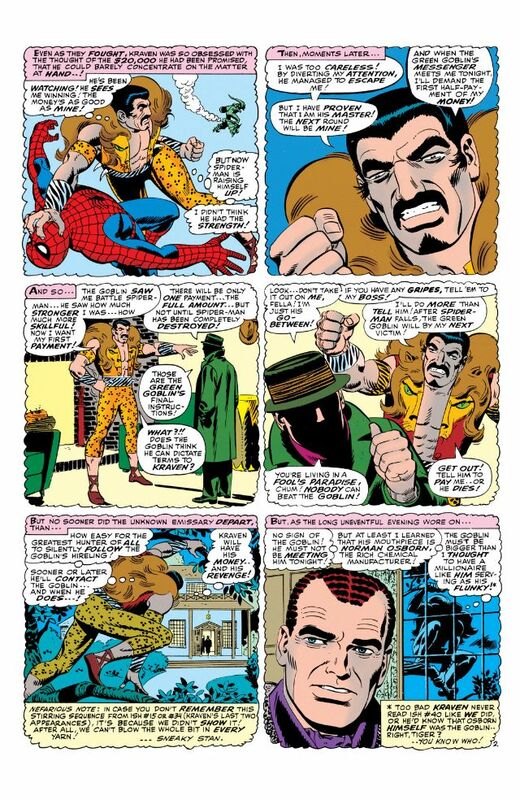 We also have both a confused and angry Kraven tracking down the Green Goblin, and the strongest story and art. Pete and Harry picking up Gwen and MJ for a party nearly steals the show from Spidey and Kraven, who sticks around to tussle with both Spidey and the Vulture for two more chapters. 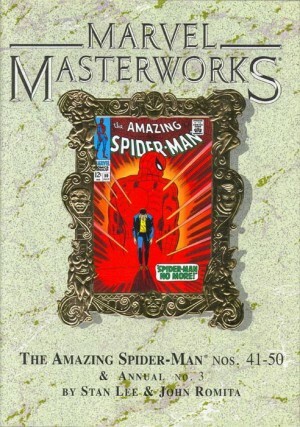 Spider-Man’s 50th issue was a landmark and is iconic for good reason. 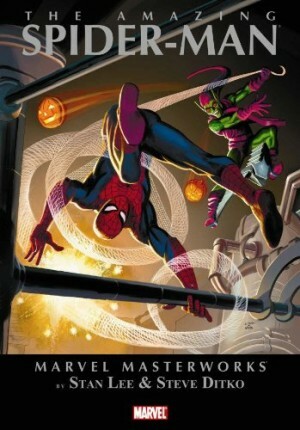 Also included is an annual in which Spider-Man auditions for the Avengers. The story is interesting for its conclusion and characterisations, which in 1966 made perfect sense, but have been completely inverted in recent times. The issue features Don Heck finishing Romita’s layouts, a chore he would return to again and again over the next two years. The inconsistencies of the later issues are not in evidence here, and the annual is one of the strongest efforts from Romita and Heck. These stories are a precious time capsule, capturing the characters—and their creators–in a brief moment when the world seemed their oyster.